Murtaza Razvi. Photo by K. B. Abro. Sunny, we will miss you. It’s hard to write about Sunny, as friends knew Murtaza Razvi, in the past tense. Our association spanned over 25 years and although we didn’t meet or communicate very often, it was comforting to know he was there, part of our larger family of forward-thinking, progressive-minded, secular, humane, literature-loving and above all utterly decent human beings. The first time we met was when he visited Karachi in 1987 or 88, with the Government College Dramatics Club (GCDC) of Lahore – a lively group of youngsters directed by the brilliant Shoaib Hashmi, an Economics professor at Government College. Alys Faiz played the lead role in the hilarious murder mystery ‘Arsenic and Old Lace’, the play GCDC put on at the PACC. Sunny good-humouredly played the corpse, complete with a wooden coffin. After I moved to Lahore, I joined the founding team of The Frontier Post, the Peshawar daily that launched its Lahore edition in 1989. I was in charge of bringing out a daily features page, which included ‘Towntalk’. Sunny, who had joined the magazine section, approached me with an idea he was passionate about: a column on ordinary people – the ayah, the tonga-walla, the labourer, the chai-walla, all those people who mill around in the city working from morning till night to make a living, feed, clothe and educate their children. What were their daily lives like, what were their aspirations, their dreams, and their insights? That was where his heart lay, with these ‘Ordinary People’ as the column was titled. I don’t remember how long we ran it but I believe it was an important contribution to documenting the voices of those who normally go unheard – “history from below” as Dr Mubarik Ali terms it. Sunny’s interviews, written in a features style, found their way into his first book Ordinary People (Progressive Publishers, Lahore, 1995). Extremely well-read, particularly in history and literature (he held two Masters degrees, in Indian History from Government College Lahore, and in Political Science from Villanova University, US), with a biting wit, our forthright, no-nonsense Sunny also had a great sense of fun – and a famous temper that mellowed down over the years. After I left FP in 1993, we didn’t get to spend much time together but whenever we did meet, there was a closeness that came not just from a long association but a meeting of minds. There’d be serious discussions on various issues, but also a great deal of laughter. He was passionate about human rights and peace, particularly peace with India. His last published column in fact, was about this: “Indo-Pak time is now” — a solid, clear-headed piece of political analysis, published by The Indian Express the morning after his death (April 20, 2012). “If there is an opportunity to move swiftly with improving relations with India all these years after the failed Musharraf-Vajpayee Agra summit, it is now,” he wrote. 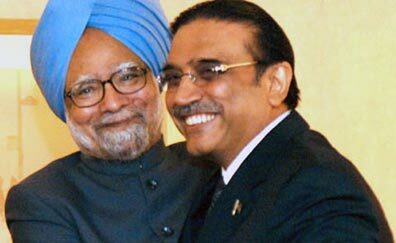 “Both Zardari and Sharif are cognizant of this opportunity. It is only nascent entrants in politics like Imran Khan who opposed Zardari’s India visit, citing flimsy reasons such as army troops being buried alive under an avalanche at Siachen while the president undertook that visit. The criticism was wisely downplayed by the media even as Imran remains their darling, ostensibly because the public showed little appetite for such criticism. Zubeida Mustafa in her recent column refers to Sunny’s mother, Zaheena Tahir, a writer who passed away in Lahore, January 2002. ‘Murtaza inherited this sensitivity. His life and interests were rich and versatile and as a result his personality had multiple dimensions… Political, social and cultural analyst, literary critic and translator. Above all, he was a good human being and ever ready to help. I always enjoyed meeting him with his smiling wife Sherry, with whom he obviously shared a great camaraderie and loving bond. I never got to meet his young daughters, but he was clearly so proud of them. As one of those rare men who genuinely believe in women’s rights as human rights, I know he must have been a wonderful father. All of them have a lot to live up to, and I am sure he passed on his courage to them, which will help them to cope with this irreparable loss. His professional career developed steadily, from a budding writer at The Frontier Post, Lahore, to Dawn in Karachi, a city that he fell in love with. 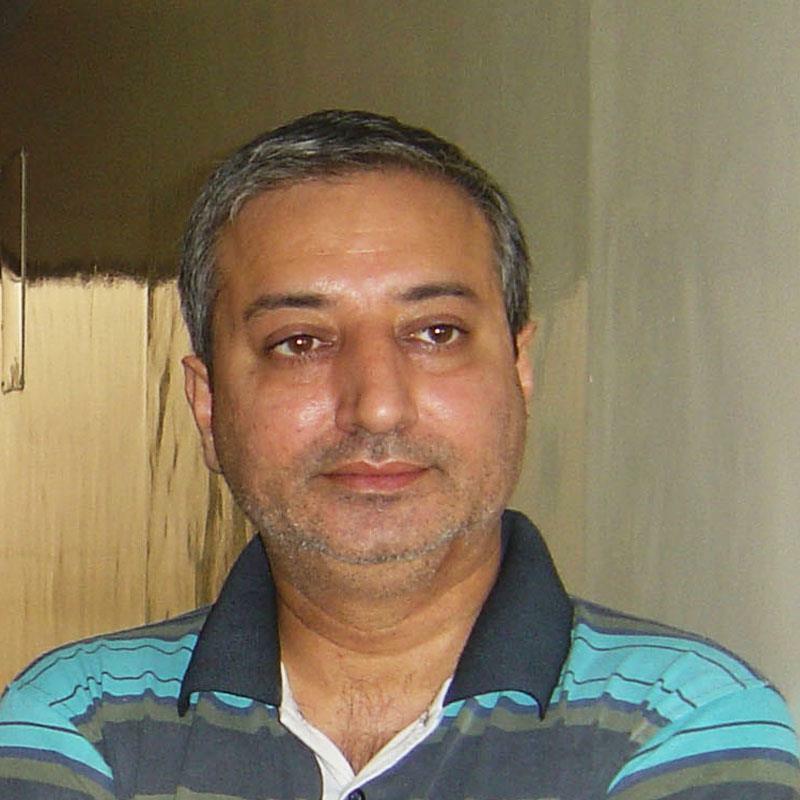 He was posted as Resident Editor in Lahore from 2005-2007 but his heart was in Karachi where his family was. He hated being away from them. One of Sunny’s pet peeves was the ‘Saudisation’ of Pakistan, symbolised by the endangered goodbye phrase ‘Khuda hafiz’ – which he took on in several well-argued columns. In a moving tribute, Indian journalist Eshwar Sundaresan wrote about their first meeting. “…I suppose it was natural for us to strike a deep friendship – despite external appearances, we had so much in common. We had both spent longish spells in the US. More importantly, both of us were fond of Bollywood, Hindi music from the 60s and 70s, ghazals, filter ‘ciggys,’ and sub-continental history. I discovered that he could talk knowledgeably for hours on any of these topics.” (He who could not be tamed, Dawn, 20th April, 2012). Pakistan is poorer without Murtaza Razvi. I don’t want to dwell on his senseless murder, apparently a symptom of the lawlessness that pervades our country. We have lost too many artists and writers to it already. Please, let this be the last. Rest in peace Sunny. You will live on in our hearts and through your work.